One example of the type of service we can provide is illustrated by our relationship with the Saatva Mattress Company. What's the secret to their success? Keeping their costs low by eliminating the need for showrooms, and providing customers with a great overall experience. Saatva Mattress has focused on their product, and their online marketing. They've identified local movers like Garrett's to assist them in offering customers the white glove service that they appreciate. Saatva has determined the typical needs of a market like DFW, and has stocked us with enough product to last about a month. 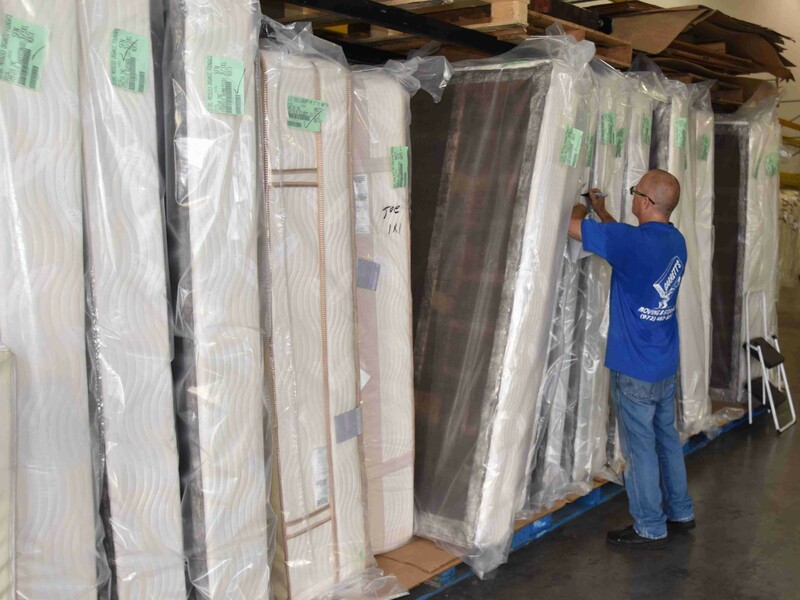 We keep the different mattresses and springs organized and prep our shipments each morning. We send our crews out to homes all over the Metroplex to setup the bedding in the customers' homes. Saatva's clients are trusting that the people coming into their homes are decent and trustworthy. We employ the appropriate staff that can handle the job, and clients feel comfortable allowing them access to the home. The goal of our white glove service is to leave each home a little nicer that the way we found it. Just as clean as it was, with the addition of a nice, new bed from Saatva! Another part of their offering that Saatva clients love is the 75-day, in-home trial. It the client doesn't love their new mattress, then we will return and collect the mattress. Saatva provides a full-refund of the purchase price less the original delivery fee. There are no penalty fees, or restocking fees added. Also, at the time of delivery, our delivery team will remove and dispose up to two pieces of existing bedding, which include a mattress & foundation, for a $39 cost. We bag, seal and dispose of your existing mattress according to your state laws. At Garrett's we have ample room to accommodate new white glove service clients like Saatva. We can also accommodate a wide variety of technologies that you may already have in place for tracking and order fulfillment. Call us today at 972-487-5843 and we'll customize a plan for you! The brief video below shows how we get the day's deliveries ready for the road after receiving a large delivery from Saatva. When it comes to white glove delivery services in the Dallas - Fort Worth Metroplex, Garrett's Moving and Storage is your trusted partner. We offer a wide range of door-to-door fulfillment for clients of all sizes and needs. We already have experience in working with a leading mattress manufacturer, two cabinet makers, and other companies that need a solution to get their products in their clients' homes quickly, efficiently and professionally. Garrett's Moving and Storage has a warehouse facility in Garland that's just off the I-635 loop, making it easy for us to get around DFW. We get your product in your customers hands and deliver a great experience. Consider us your resource for last-mile delivery services in your logistics planning model. We can accommodate a variety of tracking mechanisms from the most simplistic to automated tracking software using barcode and RFID scanners. 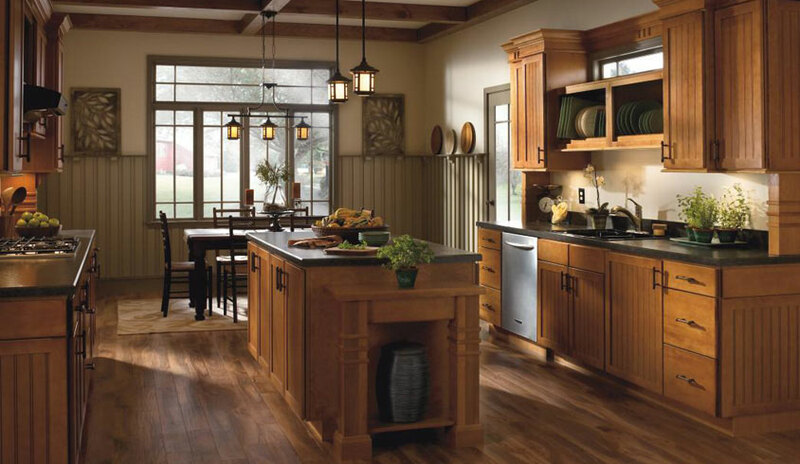 At Garrett's, we understand the importance of the end-customer experience, and we strive to make this as seamless as possible. Our goal is for your client to feel that the entire ordering, delivery and set up is all part of one cohesive process. We understand that no matter how hard your sales team works to close the initial sale, everything could be thrown off by us, the last impression as the delivery agent. We appreciate our special role in the process, and can meet the demands of clients who expect the white glove delivery experience. This saves you time and effort in not having to have your own nationwide network of delivery agents. Our warehouse services ensure that your goods are protected from the elements, and we have security in place to limit exposure to theft. 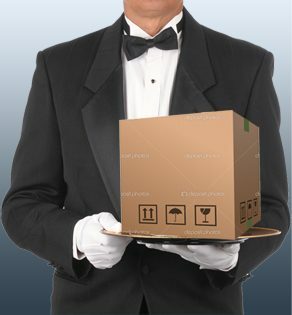 Give us a call today at 972-487-5843 to talk about our white glove delivery service. Find out how we can work together to deliver a great customer experience and grow your business in DFW and beyond! 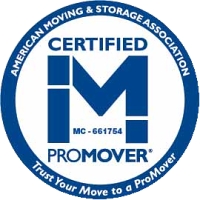 Thank you for contacting Garrett's Moving and Storage for your logistics or white glove delivery needs! We have the space, organization and network to get your products to your clients in an expeditious manner through the DFW Metroplex! One of our logistics experts will be in touch with you within one business day. If you have a question in the meantime, please call our office at 972-487-5843. Garrett’s Moving Inc. specializes in creating customized service plans designed to suit your company's ongoing warehousing and distribution needs. We work with you to identify your unique set of needs and priorities, allowing you to enjoy tailored solutions to your logistical requirements. This lets us act as your partner in the warehousing, distribution and inventory management aspects of your business plan and ensures the most cost-effective solutions for your company's needs. At Garrett’s Moving Inc, our integrated approach to storage and distribution ensures that your supply chain functions properly and offers your customers’ fast response times in the competitive marketplace. Contact us today to learn more about how we can increase the speed of your delivery processes while managing all aspects of storage and distribution for your company. Call us now at 972-487-5843 for a quote.